It was simply a day of imagination and creativity. This got me thinking. What allowed this? He had time where he had nothing on his schedule (like mom’s errands, for example). He was given the freedom to think on his own and take the lead. Then, this got me to thinking, am I creative in my work life? Well, let’s examine those two factors that facilitated my son’s creativity. Do I allow time on my schedule for creativity or am I always “doing.” That would be an easy question to answer as I fell prey to the “doing cycle” much of the last several months, leaving little time in my schedule to use my creative capacities. Did I got a lot done? Sure, I did. I checked things off my to-do list daily. But, is this really success? Did I really make the most impact? Could I have made a deeper impact if time was built into my schedule to facilitate creative ways for deeper relationships, more effectively coach and building capacity with others? Are you a leader that can build that time into your team’s schedule? Am I given the freedom to think on my own and take the lead? I am fortunate to be in a position where this is often the case. My role is an instructional coach in two elementary buildings. I’m the only one in these two buildings with this position. This, in itself, allows for individual initiative and ideas. However, without that time mentioned in #1 above, this freedom goes unutilized. So, let’s stop “doing” so much. Stop the go, go, go lifestyle. Stop the to-do lists. And, instead, unleash the power of creativity in our world. We will all benefit. As this teacher’s coach, those words made me smile. They warmed my heart because I knew the impact this teacher was going to have on her kids because of the truth in that statement. It’s been my pleasure to partner with a couple of teachers this school year as we (teachers and coach) have navigated the waters of small-group instruction in reading, incorporating the five components of reading into their instruction. Teaching students to read is an astoundingly complex cognitive process. When we sit down to read, we are using phonemic awareness (the ability to hear and manipulate sounds), phonics, vocabulary, fluency and comprehension. The goal in elementary school is to get our kids proficient so that these components are used simultaneously to create an enriched reading experience. We could compare this to teaching the game of basketball. A coach would not just teach a player to dribble and think they could hit the court and play the game. That coach would have to teach multiple skills so the player could integrate them all on the court and create the magical moment when it all comes together to play the game. There are times when that coach teaches skills in isolation, shooting a lay-up, for example. But, ultimately, the real measure of the player’s ability is if they can apply that ability to shoot a lay-up in a game. The same is true for reading. Best practice in reading instruction says that when we sit down to teach kids how to read, the most gains in student achievement come when we’re incorporating all five components in small group reading instruction in a text that is at the child’s instructional reading level. That is the adventure I’ve had the pleasure of being part of as two of my teachers and myself have partnered in building our knowledge on how to do this. Admittedly, this adventure was frontloaded with a lot of information and time in knowing the components and knowing how to incorporate them all in a small group lesson. What gave me great joy was to see how easily these two teachers picked up the this ability. 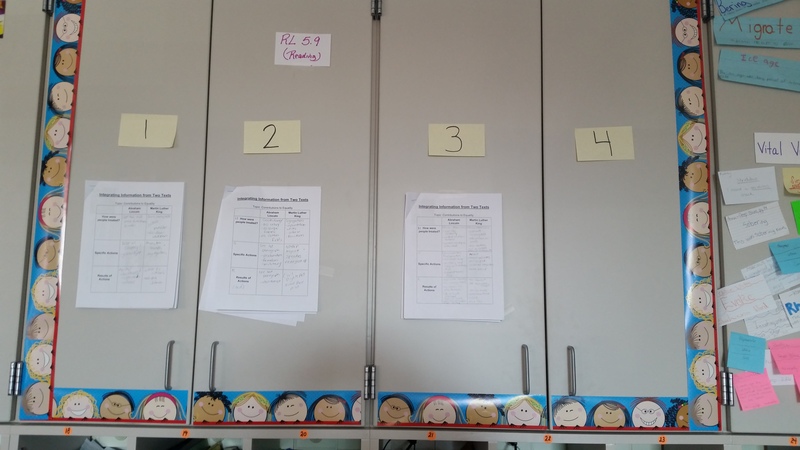 Within a couple of weeks, they were planning their own lessons, incorporating the five components, and in their words, the planning was not nearly as hard as they thought it would be. 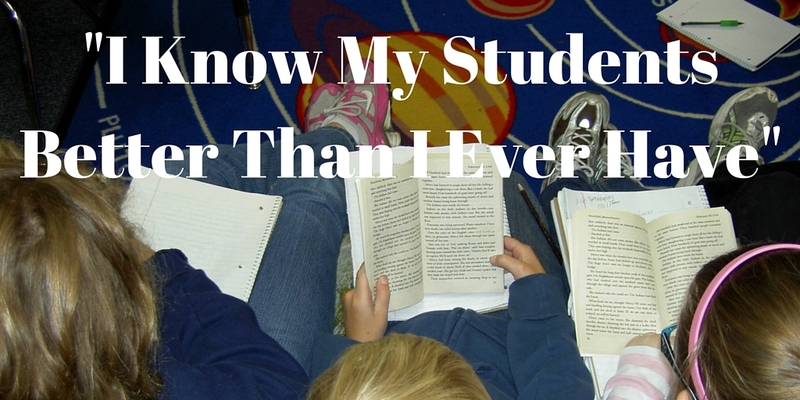 Within just a couple of weeks, my teachers were telling me how intimately they knew their students’ reading abilities…better than they ever had. Each time I would I sit down with these teachers to partner with them as coach and teacher, I planned to ask them how their anecdotal notes on the five components guided their instruction for the next week. Before I could utter that question, they were telling me which kids needing phrasing work (fluency), which kids didn’t know how to break apart words using the vccv pattern (phonics), which kids needed to be pulled for an invitational group on open and closed syllables (phonics), which kids had a deficit in vocabulary, etc. They knew their kids abilities in reading…their strengths and their targeted need. They knew this because the witnessed the kids either succeed or struggle with these skills right before their eyes. This was just after a few weeks of going through a coaching cycle. So powerful. And, we’ve only been in school for a little over a month. Just think the progress these kids are going to make in reading after an entire year of targeted instruction. Keep your whole group lessons down to mini-lessons. Just because you’re teaching during that whole group time, doesn’t mean your kids are engaged and learning. And, it’s impossible to glean the knowledge you need on your kids’ abilities in the five components if the majority of your time is spent in whole group instruction. Make small groups a priority. Every day. Begin building your knowledge on the five components of reading. Talk to your coach or colleagues who can guide you in incorporating this into your instruction. Take these steps, and it could be you saying you know your kids better than you ever have before. With one day left of school, educators are embracing that bittersweet time of closing a door on a year that was full of growth and opportunity. As a coach who attempts to be proactive at having a growth mindset, and also one that has a huge desire to constantly learn how to facilitate and nurture growth within a school, I too am reflecting. I was blessed today with a book that honestly touched my heart and represents the power of student-centered coaching, a model of coaching championed by Diane Sweeney. In this model, we are not about fixing teachers. But, rather a partner who can sit side-by-side with teachers and navigate through the often murky waters of curriculum, instruction, assessment, and student learning. A teacher I worked along side of this year presented her gratitude through the book What Do you Do with an Idea? by Kobi Yamada. In this book, a child has an idea that was “strange and fragile.” The child kept this idea to himself, because he wasn’t sure what the world would think of it. But, the idea followed him and the child began to embrace it. The child finally shared it and some people laughed at it and he contemplated whether he should abandon the idea. But, the child re-embraced it, because after all, nobody understood the idea like he did. He fostered it. He fed it. His love for the idea grew and grew. And, then, one day, the child built the idea a new house, one with an “open roof where it could look up at the stars–a place where it could be safe to dream.” The child said the idea made him feel more alive and gave him the ability to think bigger. And one day, his idea changed. It spread its wings. It changed the world. It wasn’t just part of him. It was part of the world. The teacher said she felt like this book represented our work together. After reading this thought, I had thoughts of gratitude. For that teacher and her willingness to try ideas, to embrace the chance of failure, the chance of imperfection for the pursuit of growth. Growth that would profoundly impact kids. And, boy, did she ever impact kids! I saw it on a daily basis. And, just as important, I saw her kids embrace their own ideas and become comfortable with failing forward. I also had gratitude for the student-centered model of coaching. Because this model is not about fixing teachers. It’s about facilitating beside them and growing as a team, because that growth impacts kids. And, that’s why we’re here. We learned together. We shared ideas together. We analyzed the impact of instruction together. And she modeled learning and the willingness to take a risk for her kids. I felt lucky to have experienced this. Inspiring. Motivating. Change. Growth. That’s what it was. With the demands on teaching and learning in an age of 21st century learning, what do all teachers want? How about instructional strategies that not only make teaching more effective, but learning? Not a silver bullet, but something close? Good news: that very thing exists. The innovation and learning coaches have immersed ourselves in instructional strategies this year, based on the work of John Hattie, Dylan Wiliam,Steven Zemelman, and Anne R. Reeves. I can honestly say, I don’t think I’ve seen anything impact teaching and learning as much as some of the instructional strategies from these gurus have. The ground breaking part is that the use of learning targets and success criteria make designing lessons much more productive, and more important, have led to deeper student learning. Let’s first take a look at learning targets and success criteria. Subsequent post will address other instructional strategies. Let’s walk through an example. First, take a look at this video about unpacking learning targets with students. My favorite teacher line from this video is “Tell me what you know about this target, and what you’re wondering about.” How powerful is that? How many times do we just post or say the learning target and think “that’s it?” Unfortunately, just posting or reciting the target doesn’t mean the students really understand and internalize it. They are the ones who REALLY need to internalize it as they are the ones doing the learning. They are the ones that need to have the learning targets at the forefront of their learning. Let us not assume our kids just “get” the learning target? Have you asked your kids whether they understand what’s being asked of them? The assumption that they do can be a detriment to their learning. After breaking down the learning target, we want to address the success criteria. Here’s a way to explain the importance of success criteria to your kids. Let’s say that a group of kiddos have never seen the game of basketball. I teach them how to do lay-ups, how to shoot free throws, how to play defense, and how to do a full-court press. Could I then just throw them on a court and have them successfully play the game of basketball? It would be quite interesting as you would likely have lay-ups occurring at the same time as free-throws, defense and a full-court press. Most kids have seen the game of basketball played before, so they do, in fact, have an idea of the success criteria, and have a better understanding of what is expected of them in the end. Our kids in our classes, need to know the same. Take a look at this video, where they discuss success criteria. The big lesson from these videos and instructional strategies: don’t just dive into content. First, be sure STUDENTS have a clear idea of where they’re going and what the success looks like. This knowledge helps lead them to owning the learning and creates an atmosphere where they are better able to regulate their own learning. What impacts student achievement? High yield instructional strategies? Absolutely! John Hattie’s influences on student achievement? Without a doubt! Marzano’s nine instructional strategies? Without a doubt. And, I am passionate about all of these because they increase the chances student achievement exponentially. However, there’s this one other thing I do as a teacher and coach that reaches kids like nothing else: exhibiting the love of reading and exposing them to the adventures and lessons that lie within the pages of a book. I’ve written on this topic before (see “Mrs. Palmer Has Changed my Life” and “Inspire the Desire to Read”) so I won’t make this a repeat of that. But, I will say, after presenting a lesson involving critical thinking tied to the Shadow Children Series by Margaret Peterson Haddix, I was reminded of this impact. I relived the impact, the feeling it gave me to see the sparkle in the eyes of kids as they got so excited to read a book. And, what did it take? Just a little discussion and intrigue via a values line continuum and a few minutes of showing book trailers. What’s my evidence for knowing this impact exists, other than my observation of how engaged the kids were by simply talking about the series? Other than noticing how they asked with a hope in their voice “how many copies does our library have?” Other than them asking questions of each other that exhibited deep critical thinking? All that was a teacher’s dream; it’s why we teach. But, here’s the best thing. Afterwards, a parent of one of the kids I presented to said that her daughter came home that day with a degree of excitement that was immeasurable. She had such an excitement for the book series and reading in general that her mom had to buy the series immediately. And, this was motivation to read in a child that had been lacking for quite a while. That was one of those moments we never forget as teachers. It could potentially be the start of a life-long reader. Here’s the thing: we have to instill life-long reading in our kids, and I’m here to say it can be done. I’ve seen it time and time again. Why is this so important? Among other reasons, voracious reading has a huge effect on student achievement, not just reading achievement. We have to get our kids reading more and reading because they want to. How are they going to get better at applying the skills and strategies we teach them, if they don’t read? It’s like a coach teaching a basketball player to do a lay-up and then never giving them time to practice. We have to get our kids into books to “practice” and apply the five components of reading. And, just as important, we want them to build the foundation to make this a life-long activity. I urge you, make the time in your school day to make things like this happen. You will leave school that day with a warm heart.